An action RPG and the third chapter of the adventures of a morally unambiguous monster slayer, Geralt of Rivia. As were the parts of the cycle, The Witcher 3: Wild Hunt is based on Andrzej Sapkowski’s literary works, while not being a direct adaptation of any of his books. 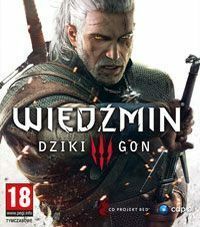 The Witcher 3: The Wild Hunt for PC, PS4 and XONE is the third installment in the popular series of role-playing games based on the prose of Andrzej Sapkowski. The game was developed by CD Projekt RED which also produced the two previous games. The players assume the role of the witcher known from the previous games. The main part of the storyline revolves around several separate threads such as the search of Geralt’s lost love and Nilfgaard invasion of the Northern Kingdoms. The players are also going to fight the eponymous Wild Hunt which haunted the wither both in novels and the two previous games. All of these main tasks offer a branched film-quality story, impressive scenes, and carefully directed cutscenes. Interestingly enough, the players can give up some of these tasks, however, they will have to face the unpleasant consequences of their choice. There are lots of side quests available in the game which together with the main plot offer over one hundred hours of gameplay. The developers took their time to provide a large variety of challenges. During the adventure, the players will explore a wide range of areas, including caves, ancient ruins, and bustling villages. They will also hunt monsters for profit and for special rewards, while some of the quests will include investigation. Each region of the world offers its own mini-games (e.g. knife-throwing tournament) with special prizes, however, beating them is not required for the plot to progress. According to tradition of the series, the third Witcher game offers a great amount of freedom to play as the players see fit. The story line is significantly branched so as to allow the players to make different choices. At the same time, the virtual world is highly dynamic. For example, some of the player’s actions can make a village threatened by bandit attacks completely depopulated. The world of the game is one of open structure which is forty times bigger than the one of The Witcher 2: Assassins of Kings. The new game engine, REDengine 3, is designed to load data in the background in order to avoid loading screens. Travelling is now easier thanks to the possibility of horseback riding. With a good steed going from one end of the map to the other takes about 30-40 minutes. The players can also fast-travel to places they have already visited. Considerable changes were introduced to the combat system. The artificial intelligence of the opponents was completely rebuilt. Geralt now has 96 combat animations while in the previous game he had only 20 of them. The players can finally stop the attack in the middle of it and block and dodge blows even when they run out of stamina, although it limits its effectiveness. Additionally, they can perform fast pirouettes instead of the flips to evade the attack. The new camera system provides a clear perspective during combat. There will be a plenty of boss-fights, with an ice giant among other, but they will not be scripted this time. The sign system is also redesigned. Each of the five signs has a basic level, as the leveling up progresses, Geralt gains access to the the second level of a sign. For example, improved Igni triggers an explosion of fire that surrounds the protagonist. Level-two Yrden, in turn, creates a field of energy which slows down all opponents within its range rather than just trap one of them. During combat, the PC, PS4 and XONE users can use the surrounding environment to a great extent. For example, it is possible to telekinetically hit a wasps’ nest which will attack Geralt’s enemies. When they turn on him, he can burn them with Igni. Expanding the knowledge of opponents allows the player to discover their weaknesses. Some of defeated monsters will be a source of components which are impossible to obtain in any other way and can be used to craft items or to brew potions. They will also enable Geralt to mutate which gives him access to new abilities. The players can also develop fencing and alchemy skills. After testing the PS4 version of The Witcher 3, one thing’s for sure – CD Projekt RED has risen to the challenge and created one of the best RPGs of the last several years. Unfortunately, there's a crack on the surface of this otherwise flawless diamond. How to mod The Witcher 3? Which of the mods are worth the time? We’ve chosen for you the best there is from the modding community. The final part of the Polish Witcher Trivia brings you information about a pretty neat easter egg from Hearts of Stone expansion to The Witcher 3: Wild Hunt. Polish crime comedy as an inspiration for a character - sounds cool? It's time to kick off the penultimate episode of our Polish Witcher Trivia. Today it's all about women, trust, Polish comedies and losing a hand. Sounds interesting? This week's Polish Witcher Trivia is taking you for a trip to Beauclair's own Cianfanelli Bank and explains how it references a 70s Polish comedy by Stanislaw Bareja. Season of Storms is the latest book from Andrzej Sapkowski, which makes it a completely valid “research” object. In this article we present some thoughts on the eight chapter of the Witcher cycle and an analysis of its connections with The Witcher 3. Digital Dragons in Cracow gathered top Polish video game developers. We took this chance to talk with some members of CD Projekt Red (both their current and former employees) about the Witcher series and some behind-the-scenes mysteries. The seventh installment of the Polish Witcher Trivia is here and this time around we go a little bit off the usual road. This is Polish-exclusive knowledge... only for the time being. Up until a certain translation into English happens. This week in Polish Witcher Trivia: the names of von Everec brothers are actually a reference to a historical family of nobles that ruled Lithuania and the Kingdom of Poland in the Middle Ages.